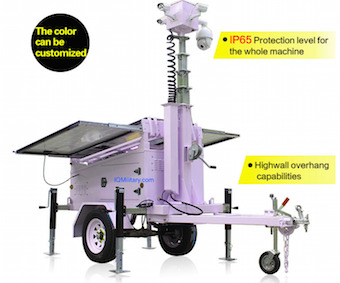 Hospital Solar Light Tower, Hospital Emergency Solar Light Tower. Used Through Out The United States and World wide by FEMA Federal Emergency Management Agency, DHS Department of Homeland Security, Disaster Recovery Efforts, Red Cross Disaster Relief, Disaster Preparedness & Recovery. 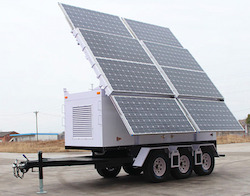 Hospital Emergency Backup Power Solar Trailer, Solar Trailer. Used Through Out The United States and World wide by FEMA Federal Emergency Management Agency, DHS Department of Homeland Security, Disaster Recovery Efforts, Red Cross Disaster Relief, European Union, EU Refugees Camps, NATO North Atlantic Treaty Organization, Disaster Preparedness & Recovery. 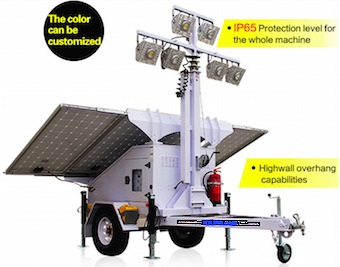 Hospital Solar Parking Lot Lighting Intelligent Human presence sensor system, which can sense human activity and increases its brightness intensity level. 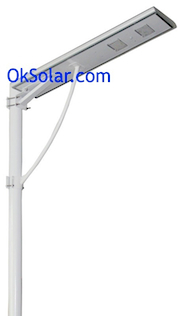 Hospital Solar Parking Lot Light Self Contained LED light integrated high efficiency solar panels, controller, human infrared motion sensor module, high-capacity lithium-ion battery and LED Lighting technology into a small compact housing unit. 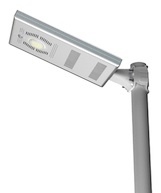 Solar Powered Hospital Area Lighting,70 Watts LED, Running Time Dusk to Down, World Zone 4 (4-5 Hours of Daily Solar Radiation). 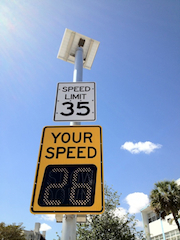 Hospital Radar Speed Signs, Speed Detection Signs - Vehicle Speed Detection - Your Speed Warning Signs. Hospital Radar Speed Signs Solar Powered, Your Speed Warning Signs. Hospital Solar 24 Hour Flashing Beacons - 24/7 Stop Beacon, 24 HOUR / 7 Days FLASHING BEACON, Airport Zone Beacons, Stop Sign Beacons, Solar Airport-Zone Flasher, 2-12 inches RED LED Beacons Dot. 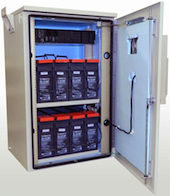 Hospital Emergency Back-Up Power Modular Energy Storage 16KWh Battery Storage, Large Scale Battery Storage new modular design Plug and Play IQUPS Technology that lets Clients like Hospitals Utilities scale up as is needed. EMS Ambulance Inverter charger designed for ambulances, fire rescue trucks and specialty vehicles EMS - Output at 120 VAC continuous - 1050 Watts. Ambulance inverter Fleet Power inverter/chargers by Xantrex are available in models from 1000 to 2500 watts with an output of 120 volts AC. Designed for fleet, utility and emergency vehicles, Fleet Power inverter/chargers feature a high surge capability and a durable design that installs easily in compact spaces. Hospital Ev Solar Charging Stations | Hospital ChargePoint for Business | Hospital Electric Car Charging Stations with Solar Energy IQ Solar Trees 2.5KW 120/230 Volts AC, Daily Output Utility grade electricity.